Book-Inspired Contest Winners | Bookworms | Kids VT - small people, big ideas! 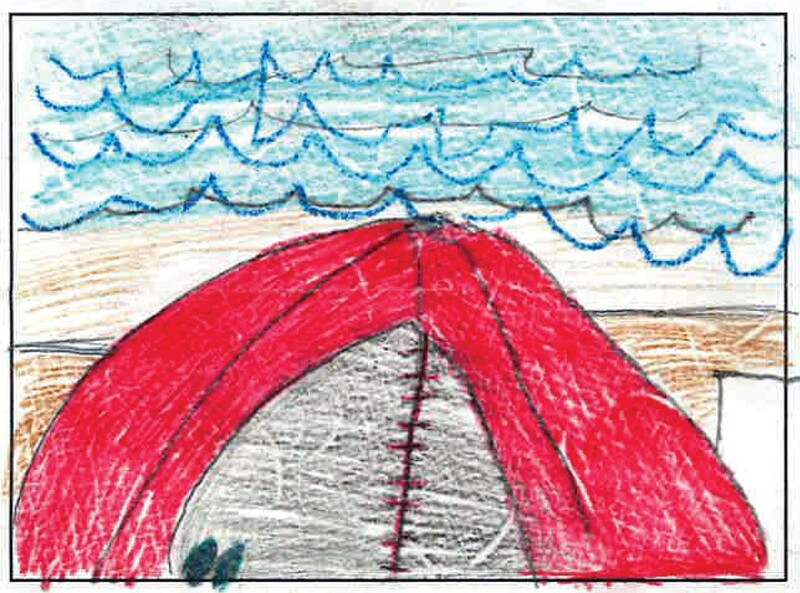 Congratulations to these talented young artists who submitted captioned drawings of their favorite summer outings inspired by Pictures from Our Vacation by Lynne Rae Perkins. Each wins a $25 gift certificate to Crow Bookshop in Burlington. Here you'll find one of the winning drawings. I love to go camping by the ocean. It's like you are about to blow away!